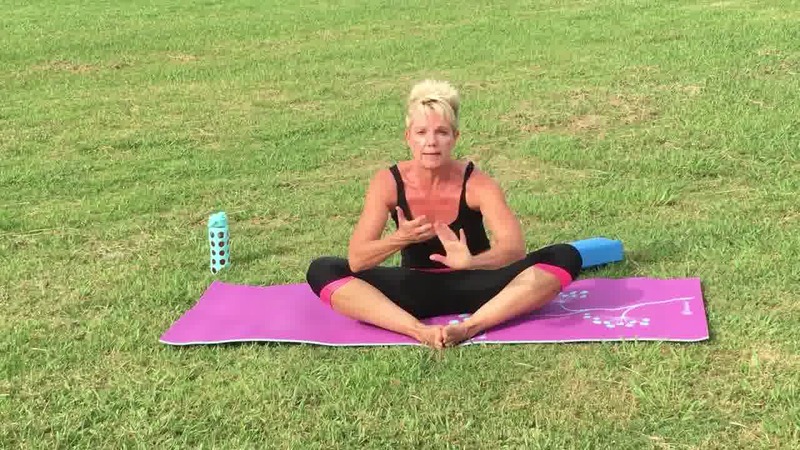 Easy-Do-Yoga with Ursula will show you today (in this sequence) how to help and relieve nagging pain in your hip joints and lower back.Tight hips can be gruesome. Even just sitting or walking can cause hip or lower back pain. Luckily, a few simple yoga stretches can ward off this pain, increase your mobility, and decrease chances of serious injury in the long haul of your body. It will also take pressure off your lower back, minimizing chances of pain in that area. Remember most back pain comes from tight hips and hamstrings. Those easy Yoga poses can help both stretch and strengthen your hips, stretch and lengthen bands around your joints and muscles. Keep in mind when doing this routine with me, to listen to that inner voice of your body that tells you if you are in pain or just feeling a stretch, to back off a bit and take it slow. A stretch may feel a little sore but inevitably it feels like a release of tension. When you feel sharp pain, back off the pose and consider moving on to another stretch, or pause. Breathe slow and deeply. Get well and work this area of your body daily. Just pick a few poses at the time.